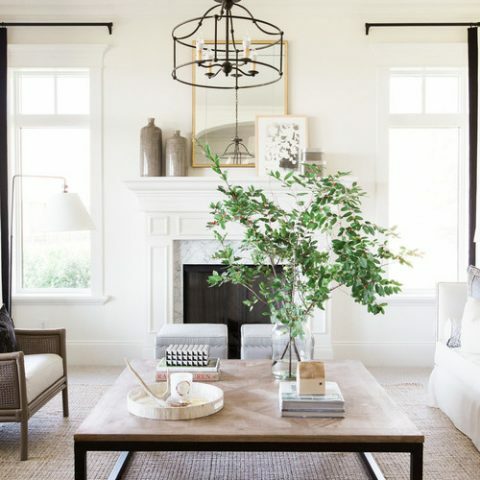 I love this serene modern farmhouse living room! The gray feature wall is definitely a favorite. Not to mention the natural, cushy textiles and soft rug. I could relax here for awhile, how about you?